In a scathing attack on Congress this morning, Prime Minister Narendra Modi didn't mince any words in blaming the governments before 2014 for ills plaguing the country. Addressing a media event — Republic Summit — on Tuesday, the prime minister was on the offensive in raking up the issue of Rafael deal. Commenting on the latest Supreme Court’s observation, Modi said, "A psychology prevails in this country — if anyone files a complaint before the court against the government on any issue, it’s believed that the government is wrong, while the complainant is right. 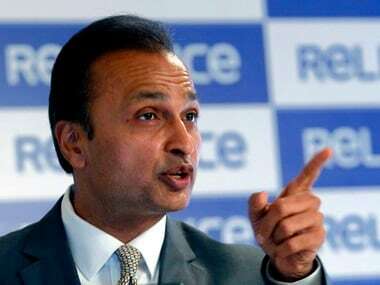 But in the Rafale deal case, it has been proved wrong for the first time, as the Supreme Court told the complainants that the deal had been executed with honesty and transparency." Throughout his address, the prime minister didn’t name the Congress party per se, but it was evident from his speech that his salvos were aimed at the previous Congress or Congress-led UPA governments. 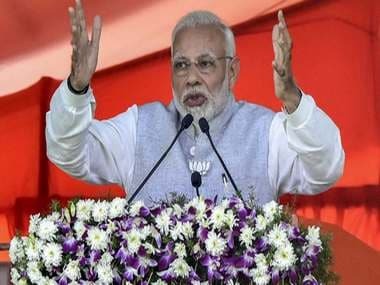 Referring to Delhi High Court’s verdict on one of the 1984 anti-Sikh riot cases on 17 December, Modi said that finally after 34 years justice has been delivered. 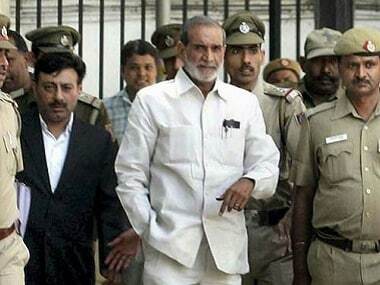 “The accused in anti-Sikh riot case have been punished, including Congress leaders involved in it,” he said. The prime minister was referring to Delhi High Court pronouncing life imprisonment for Congress leader Sajjan Kumar in the 1984 anti-Sikh riots case. “Why this change despite having the same country, same system, same bureaucracy, people and resources today as it had been in the past?” the PM said. He also mentioned the extradition of middleman Christian Michel in the high-profile AgustaWestland chopper scam. Referring to corruption in the system and the acts legislated by previous governments, with no action taken on them, Modi said that the Congress-led UPA government brought Food Security Act and took credit for it by browbeating. "But till 2014 only 11 states were benefitted. We’ve ensured that all the 36 states and Union territories get the benefit of the Act. Earlier, acts were made without any action on them. Corruption had been accepted as a ‘new norm’ in India over the years and a common perception was that in India, things happened like this and there wasn’t anything exceptional about it. We worked towards changing this misconception,” he pointed out. The introduction of Insolvency and Bankruptcy Code in 2016 is a case in point that the prime minister mentioned. 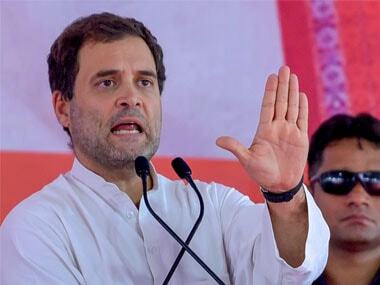 Without naming the Congress and its first family, he said links with the ruling political party and a ‘particular family’ had helped big borrowers not to pay back loans worth thousands of crores taken from banks. But, post-2014, the situation changed. “The Insolvency and Bankruptcy Code forced loan borrowers who had defaulted on payment to repay Rs 3 lakh crore to banks and lenders. In the past, big borrowers from big companies never bothered to return loans taken by them as they were backed by ruling political party and due to their links with a ‘particular family’. Our government is ensuring confiscation of properties of defaulters and fugitives both in India and abroad, which couldn’t be possible in the last 70 years,” asserted Modi. Juxtaposing the present tenure of the NDA government from 2014 and successive governments before that, the prime minister presented a four-year performance report. Whether it’s the aviation sector, providing cooking gas connection to the common man, electrification, bringing people under banking network or implementation of Goods and Services Tax (GST) — Modi said the achievements in just four years were possible due to his government’s clear vision and policies, aiming to make India a part of the $5 trillion economy club. The present government’s policies also helped India achieve 77th rank in ‘Ease of Doing Business’ from previous 142. “All these have been possible as the vision of my government is clear. We have policy-driven governance and transparent policies are the basis of our government. 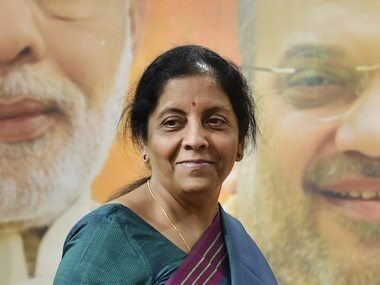 More number of people who had been travelling on AC class in trains, are taking flights; taxpayers’ base has increased from 3.80 crore to almost 7 crore; the mobile phone manufacturers have gone up from two to 120; and almost every household has been brought under banking system compared to 55 percent before 2014. The rate of building highways, airports and helipads, laying rail tracks have doubled,” he said. Mentioning GST as the biggest tax reform, the prime minister said it would be possible to bring 99 percent of items in the 18 percent tax slab, and the rest 1 percent of luxury items would have a higher tax rate.